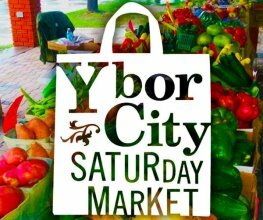 The Ybor City Saturday Market is one of the few markets that is open year-round. The Saturday Market will operate from 9 a.m. – 1 p.m. during the Summer Season. with 50+ entrepreneurs each week displaying their talent and locally produced products unique to our diverse community. Products include gourmet foods & sauces, fresh baked breads, prepared foods, herbs & plants, honey, fine cigars, fresh produce, authors, unique gifts, photography, artwork, jewelry, woodworking, bath & body products, candles and so much more! The Ybor City Saturday Market is a great place to sell your creations and make friends for life! The acceptable products consist of fruits and vegetables, plants, herbs and cut flowers, prepared foods, gourmet foods/baked goods, arts and crafts, businesses, unique and quality collectibles, and some import items.